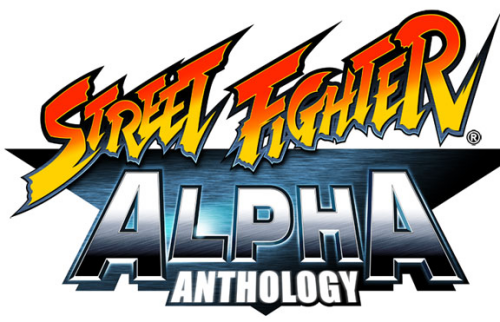 REVIEW: Street Fighter Alpha Anthology is a disc-based compilation of the entire Alpha series. 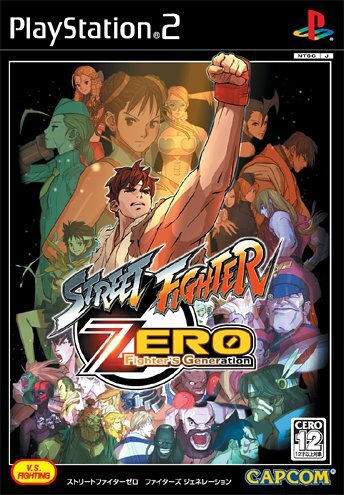 Interestingly enough, the game is also known as "Street Fighter Zero: Fighter's Generation" in Japan... Hahaha. 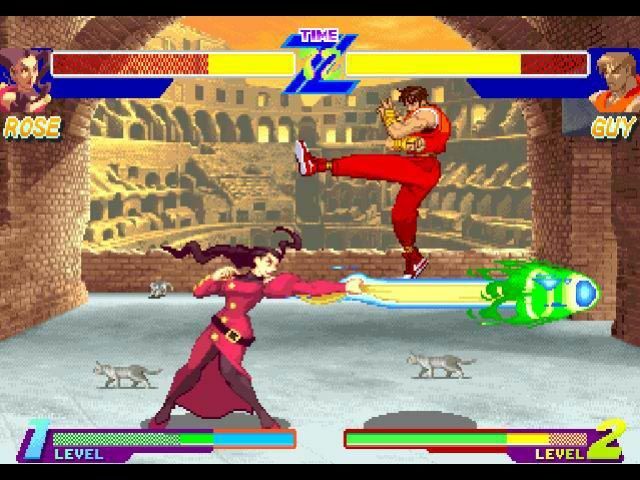 I had a feeling someone would do eventually, and whaddya know, Capcom totally ripped off the name of your favorite fighting game website (which of course was up and running over 6 years before this project). 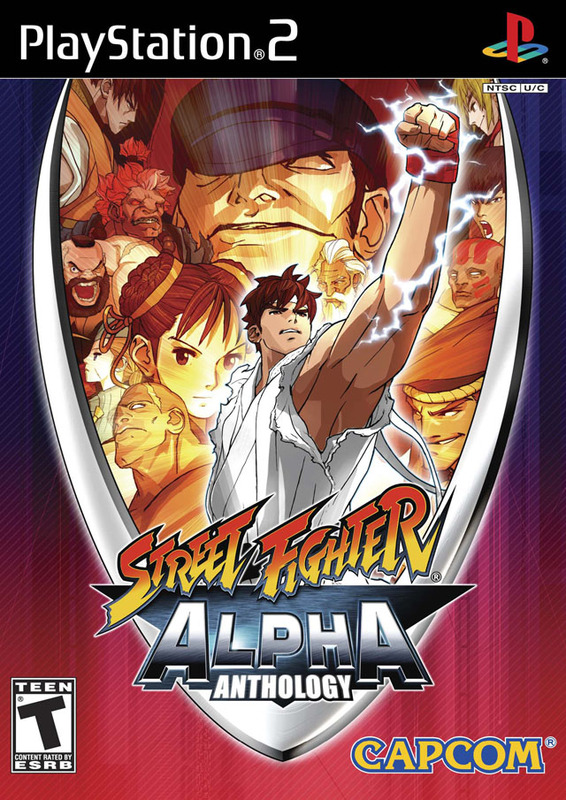 Not to mention the title of their 2006 DVD release also sounds familiar - Street Fighter Alpha: Generations.... I mean geez Capcom, can't you come up with your own names? 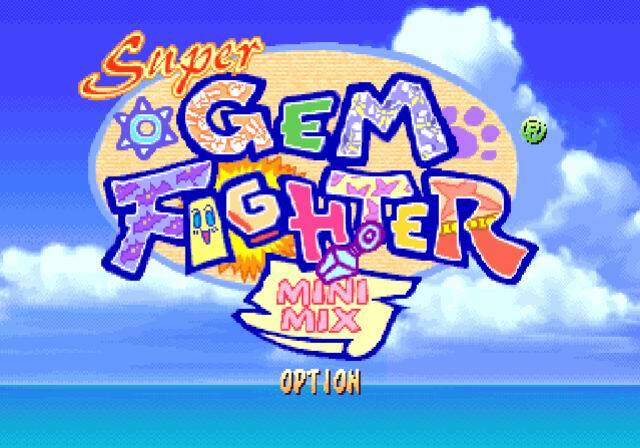 It seems that someone over at Capcom acknowledged this, because they sent the website a free copy of this very game. TFG was also invited to participate in the SFA: Anthology advertising campaign online, which I kindly accepted. It's cool Capcom... it's cool. Now that that's out of the way, let's get down to business. 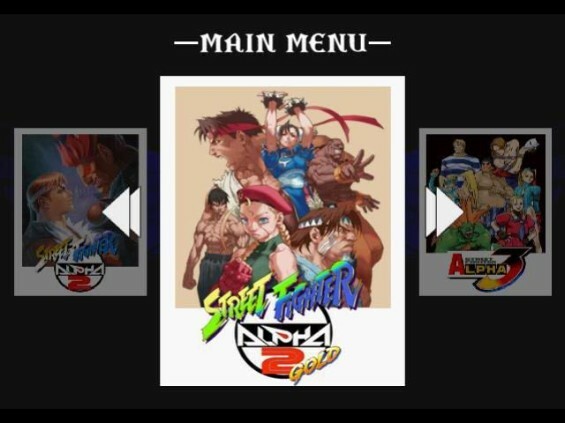 Street Fighter Alpha Anthology includes arcade perfect versions of SFA, SFA2, SFA2 Gold (which features different versions of some characters and extra character Cammy), SFA3, and as an added bonus, Super Gem Fighter: Mini Mix! 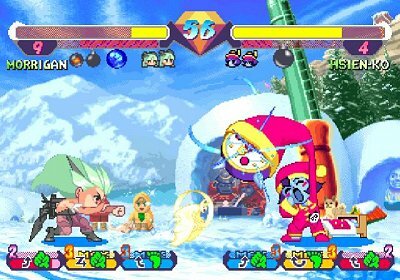 This package is indeed arcade perfect, so don't expect the exclusive characters from PSP's SFA3: Max to appear in Street Fighter Alpha 3. 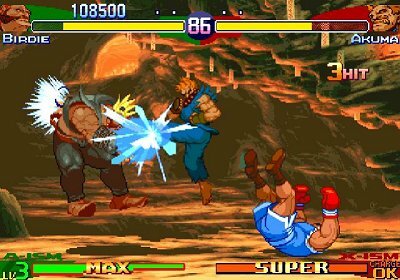 However... Guile, T. Hawk, Fei Long, Evil Ryu, and Dee Jay from the home versions of SFA3 do make the cut as "secret" characters. 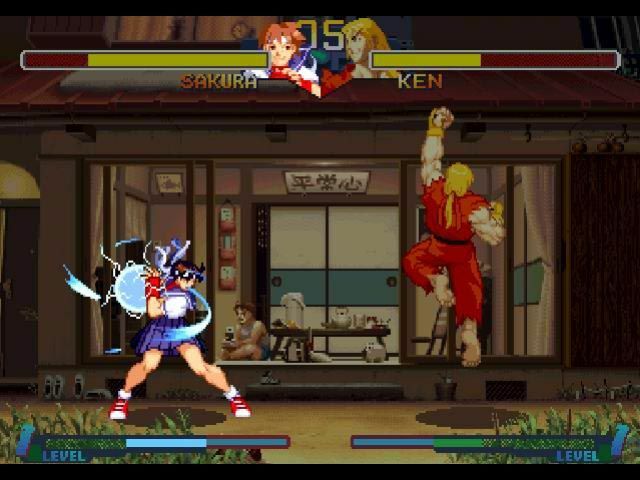 (Once you beat the game with one character, you unlock the "home version" of SFA3). 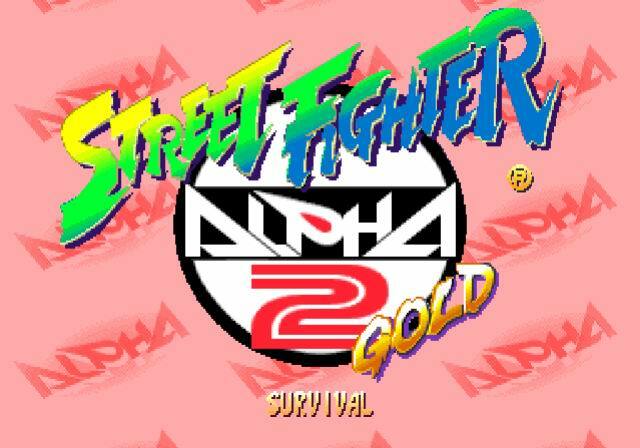 Another awesome unlockable is a little something called Hyper Street Fighter Alpha, which is similar to that of Super Street Fighter 2 Turbo as it appears in Street Fighter: Anniversary Collection. 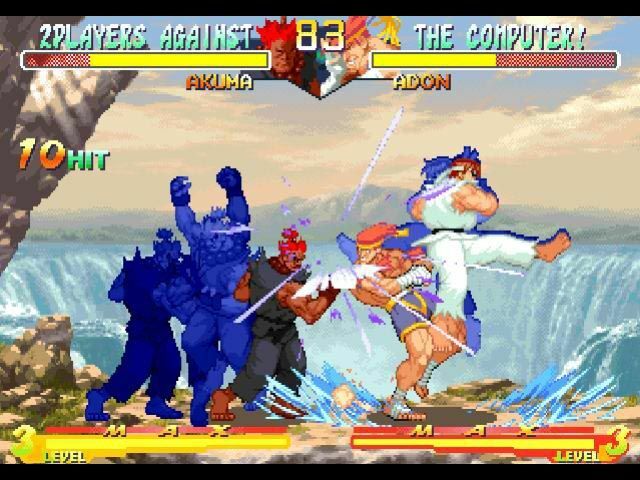 Players can select all the different "Alpha" versions of the characters and pit them against each other for the first time ever. 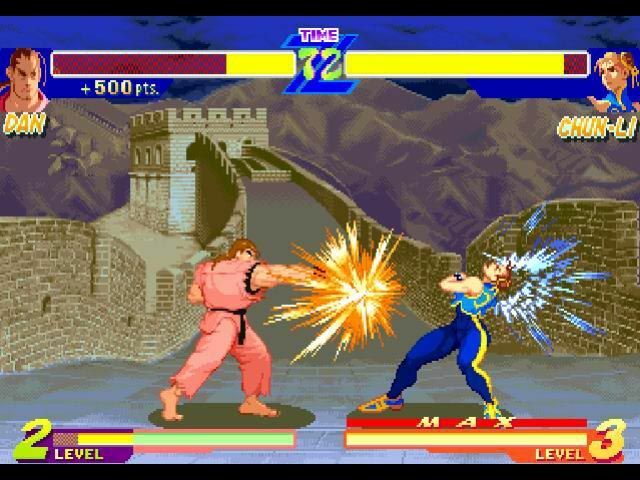 The character selection is pretty much Street Fighter Alpha 3's, but you can select several alternate versions of characters, some of which are based off of Street Fighter III (which even allows parrying), and the Marvel VS series (which allows some characters bigger fireballs and new moves). 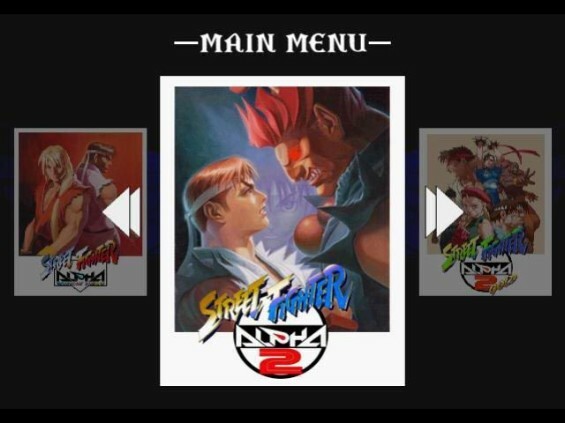 The Hyper Street Fighter Alpha mode also includes a kickass sound test menu, with tracks ranging from Super Street Fighter X2 to Final Fight, and of course all the tracks from SFA 1-3 (CPS1 AND CPSII if that means anything to you). 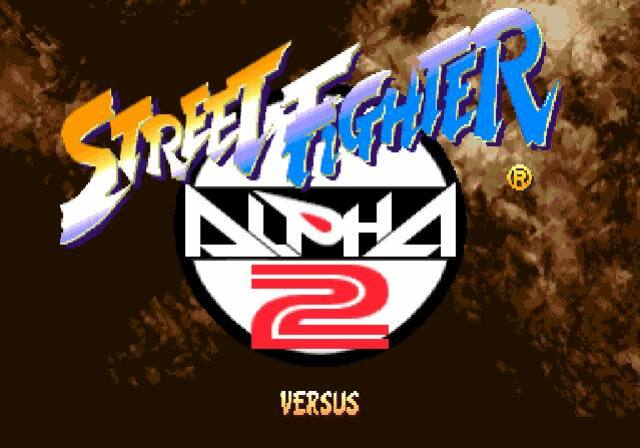 Unfortunately this mode can only be played 2-player, or training for 1-player... and you're also limited to Dramatic Battle stages only for some strange reason, but all characters have their own theme at least... specific to Street Fighter Alpha 1, 2 & 3 at that... pretty cool. 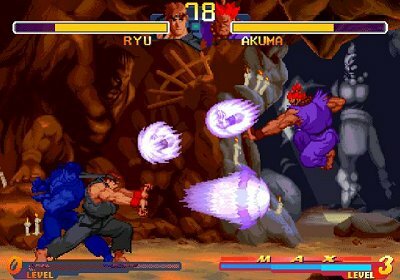 Evil Ryu's about to eat two purple hadoukens. To sum it up, the entire Alpha series has finally been ported to a home console perfectly. Load times are non-existent (besides when you select your game), the original story modes & endings are intact, and everything you loved from the individual games (like the classic intros, BGMs, character dialogue, and forgotten backgrounds) is all there! The only weird thing about the package is that, by default, the "sharpness" on all the games is turned down. You might notice as soon as you first play Anthology, that it appears a bit more blurry than you remember. However, you can of course venture to the options menu and turn the sharpness all the way up, and bingo... your 2D sprites are back to their original goodness. 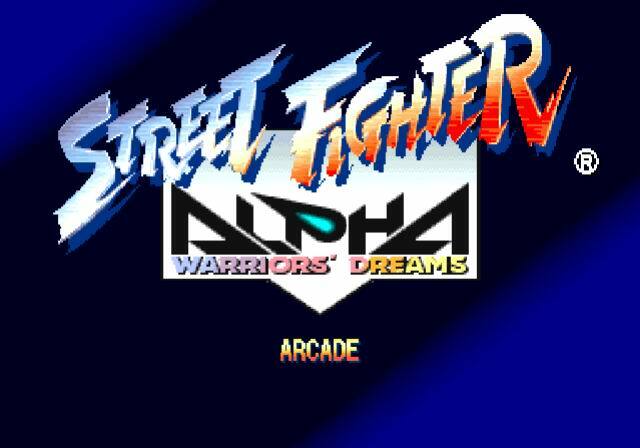 For the first time ever, you can also play "Dramatic Battle" in Street Fighter Alpha and Street Fighter Alpha 2! 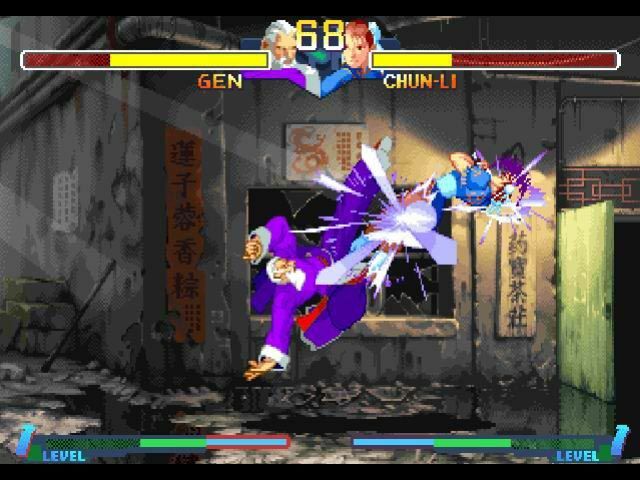 Although you and your partner share the same life bar, which doesn't make much sense, unless they're attached by some invisible string, because if your partner is KO'ed, you are too. 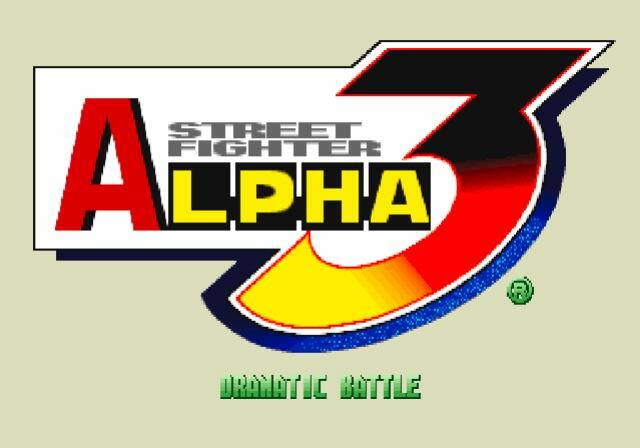 It adds some interesting strategy, but I'm sure most players will prefer SFA3's Dramatic Battle. 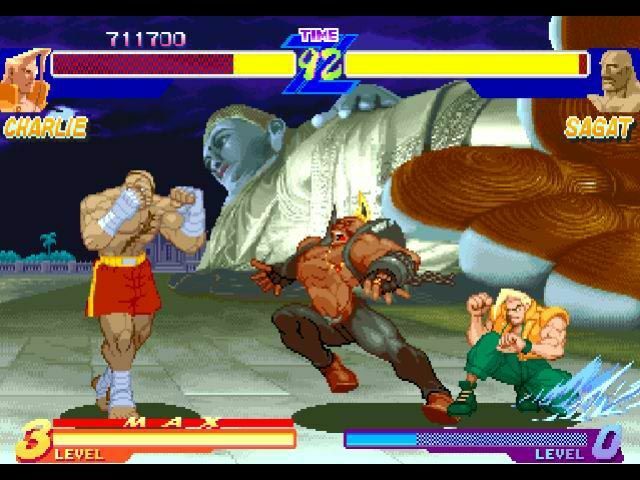 You thugs think you stand a chance against Gouki?!? 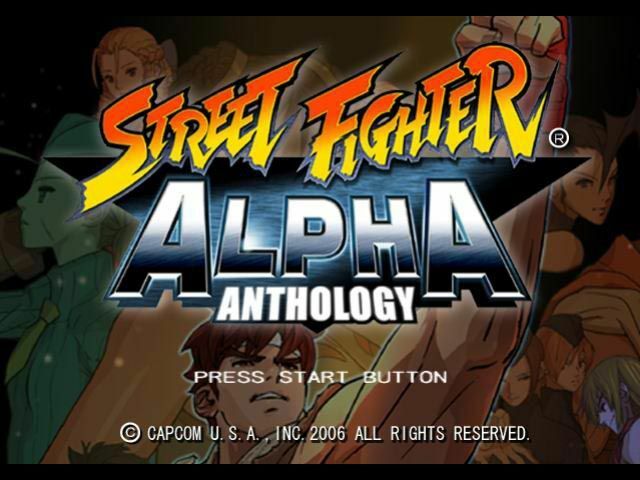 Anthology is definitely a sweet package, and I always hoped Capcom would eventually pack up the entire Alpha series in one box and re-release it! 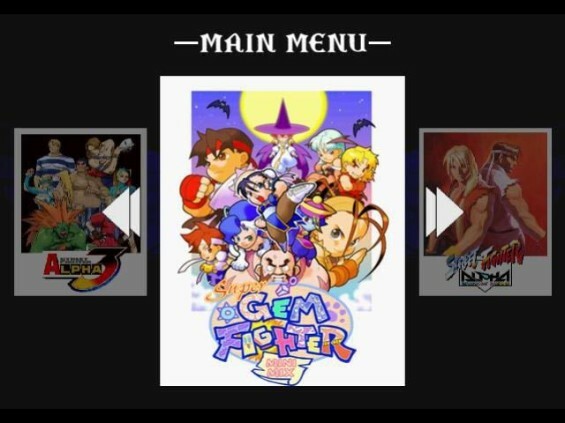 And they definitely did it right... every version of Street Fighter Alpha you could ever want (besides SFA3:Max) is here... and Pocket Fighter (AKA Super Gem Fighter: Mini Mix) breaks up the monotony of the more serious 2D fighters for some extra fun! 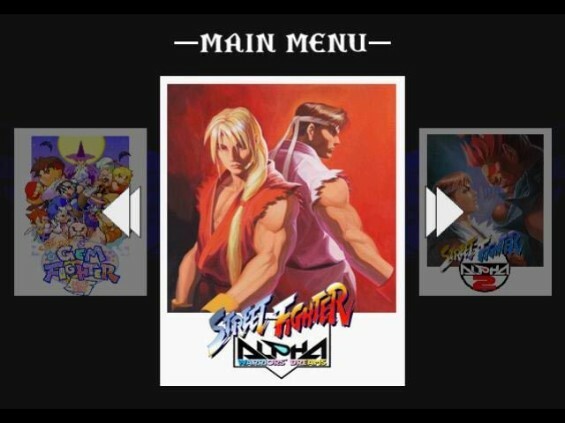 A few extra options and modes wouldn't have hurt the package, but overall, Anthology is any 90's era Street Fighter fan's dream come true. 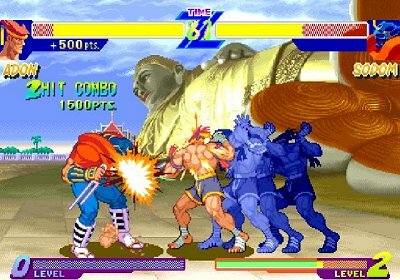 It's also a great accompaniment to Street Fighter: The Anniversary Collection... with both compilations, it's almost like having a 90's arcade in your living room. 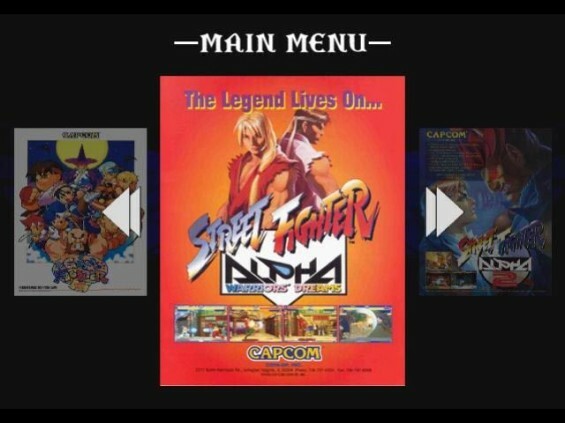 And for the "new blood" that missed out on these great games when they came out, now's your chance to catch up on your Street Fighter history.